New Jersey Cosmetic is your direct connection to the best plastic surgeons in New Jersey, as well as a wealth of resources for plastic surgery research. Our site offers helpful information covering everything from plastic surgery costs to potential risks and procedural information. We understand that cosmetic surgery may be intimidating, and that's why we're here to give you the facts. To get started, simply click on the procedures you are interested in below, or go to our locations page to find a New Jersey plastic surgeon near you. We've included full bios of the NJ plastic surgeons in our network in order to help you make an informed choice for your consultation. Once you're ready to schedule an appointment with the doctor or doctors of your choosing, contact us, and we'll move you to the front of the line for a private consultation. When it comes to plastic surgery in New Jersey, there's simply no simpler solution than NewJerseyCosmetic.com! A whole New Image is just a phone call away! Dr. Heller is a New Jersey plastic surgeon with a dedication to safe, natural-looking results. Known for staying at the forefront of the plastic surgery field, Dr. Heller offers some of the latest cosmetic treatments and most advanced surgical techniques - meaning even better results and less downtime! Patients from all across New Jersey and neighboring states have already turned to Dr. Heller for their aesthetic needs. 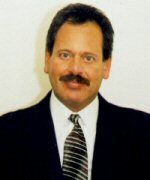 One of the most experienced doctors in the area, he has been practicing in the field for over 20 years. To meet Dr. Heller in person and discuss your cosmetic goals, contact us today and schedule your private plastic surgery constultation. © 2009 copyright New Jersey Cosmetic Plastic Surgery. All Rights Reserved. Brought you by Signature Specialists.